Race for Champions League: Which two of Arsenal, Chelsea, Man Utd and Tottenham will reach promised land? After losing consecutive matches, Tottenham have been dragged from the title race into the battle for fourth. Spurs remain five points clear of fifth-placed Manchester United, though Chelsea will move to within four points should they win their game in hand. So who is most likely to claim the final two Champions League spots, and who will fall short? 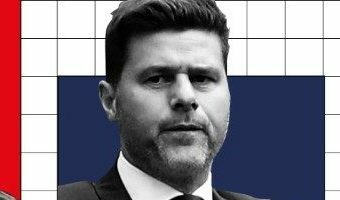 Tottenham - 3rd, Pld 28, Pts 60, GD 26 Reason to be cheerful A four-point buffer should be enough to keep Spurs in the Champions League spots, even if recent performances have been worrying. The return to full fitness of Harry Kane will also be a major boost. Reason to be fearful You have to go back to New Year's Day for Tottenham's last convincing performance in the league. For a team that's normally so consistent, it's a worrying trend. Strength of opposition Saturday's north London derby, plus trips to Manchester City and Liverpool are three major tests. Otherwise, Tottenham's fixture list is pretty … [Read more...] about Race for Champions League: Which two of Arsenal, Chelsea, Man Utd and Tottenham will reach promised land?